Established in 1785, Tunstead and Happing was one of the Norfolk Hundred Incorporations formed by Local Acts of Parliament in the latter half of the eighteenth century. Its membership comprised all the parishesin the Tunstead and Happing Hundreds except for the parish of North Walsham. The Act For the better Relief and Employment of the Poor within the Hundreds of Tunstead and Happing, in the County of Norfolk (25 Geo.3. c.27.) established a board of guardians to administer poor relief including the operation of a "House of Industry" or workhouse. The Tunstead and Happing House of Industry was erected in 1785 at Smallburgh. It appears to have had a large H-shaped main building with a number of other smaller ancillary buildings. The Tunstead Incorporation was one of the workhouses to issue its own coinage in the form of workhouse tokens in the early 1800s when there was a national shortage of copper coins. The tokens could be spent locally to buy bread and other basic commodities. Tunstead and Happing's status as a Local Act Incorporation made it exempt from most of the provisions of the 1834 Poor Law Amendment Act. However, with the promise of substantial savings in the poor rates, the directors of the Incorporation were persuaded to accept most of the Poor Law Commissioners rules and regulations. Although it retained its formal Incorporation status, Tunstead and Happing was treated by the Commissioners very much as a normal Poor Law Union. County of Norfolk: Ashmanhaugh, Bacton, Barton Turf, Beeston St Lawrence, Bradfield, Brumstead, Catfield, Crostwight, Dilham, East Ruston (2), Edingthorpe, Felmingham, Happisburgh, Hempstead-with-Eccles, Hickling (2), Honing, Horning, Horsey, Hoveton St John, Hoveton St Peter, Ingham, Irstead, Lessingham, Ludham (2), Neatishead, Palling, Paston, Potter Heigham, Ridlington, South Ruston, Sloley, Smallburgh, Stalham (2), Sutton, Swafield, Tunstead, Walcott, Waxham, Westwick, Witton, Worstead (2). 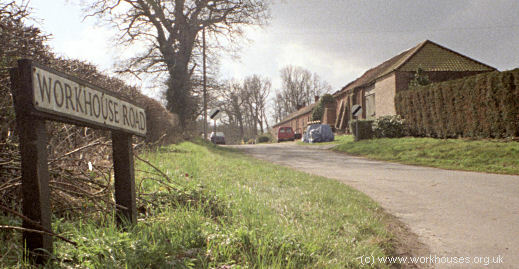 The Tunstead and Happing workhouse was located at the east side of what is still known as Workhouse Road. Its location and layout are shown on the 1886 map below. 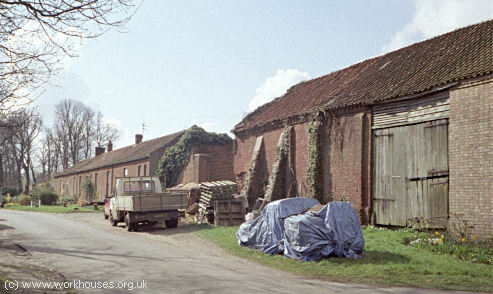 Smallburgh former workhouse site from the north, 2000.© Peter Higginbotham. 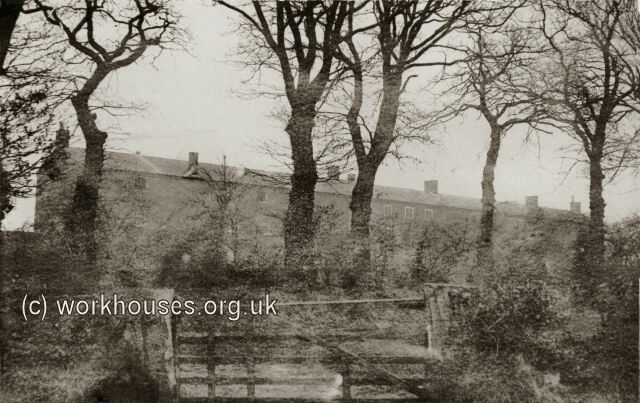 Smallburgh workhouse from the south-east, early 1900s.© Peter Higginbotham. 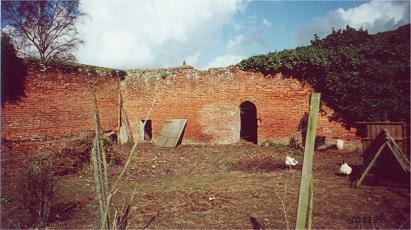 Smallburgh entrance block and stables from the north, 2000. Smallburgh entrance block from the south-east, 2000. 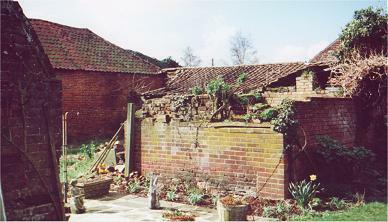 Smallburgh rear of stables and entrance lodge, 2000. Smallburgh yard to west of stables, 2000. A burial site was established in 1808 at the south of the workhouse. 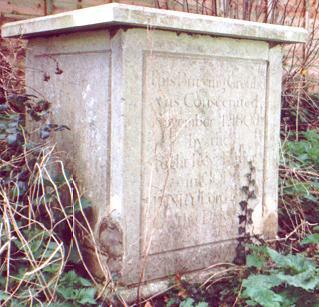 Smallburgh burial ground commemoration stone, 2000. In 1894, the British Medical Journal set up a "commission" to investigate conditions in provincial workhouses and their infirmaries. Following a visit to Smallburgh, the commission's report noted that although the buildings could originally accommodate up to 800 inmates, the largest number of inmates was now 70 and a large part of the building was therefore shut up. The master had reported that able-bodied inmates were rare. The arrangements in the nursert well illustrated this, with baby in a cradle being tended by a deaf and dumb woman, and another infant in the arms of an imbecile. Sanitary arrangements were described as "non-existent" with commodes in the wards, and privies located outdoors some distance away. No running water water was laid on inside the house and thus no baths were taken. The well-cultivated garden was plentifully stocked with vegetables and fruit trees. Further details are available in the full report. In February 1900, the then master and matron, Mr and Mrs Joseph Edward Alcock, applied for similar posts at the Wigan workhouse. They were succeded at Smallburgh by Willam Edward Ponsford and his wife, Clara Ann. A new laundry and receiving wards were erected in 1903, with John T Lee as architect. In February 1906, Jonathan Heald, the then master of the workhouse, was accused of indecently assaulting laundrywoman Naomi Western. After hearing greatly conflicting evidence from a number of witnesses, magistrates dismissed the case. 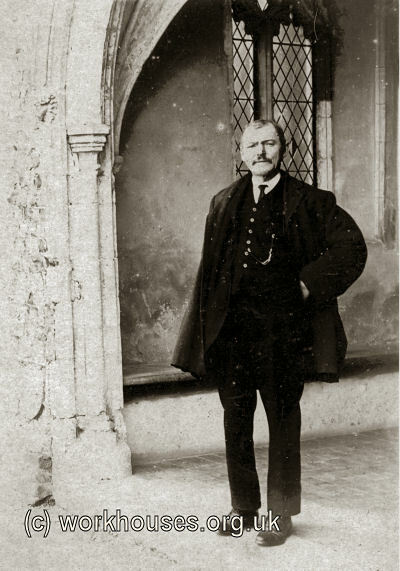 However, the Heald and his wife departed and were succeeded as master and matron in March 1906 by Mr and Mrs Frank Arthur Owen, previously porter and portress and the Rye Union workhouse, who were amongst more than 100 applicants for the post. 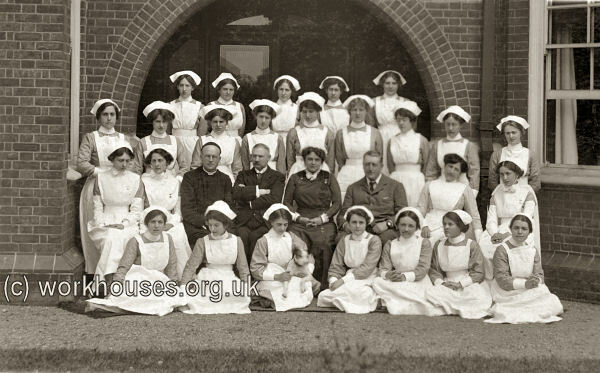 In November 1908, the Owens' daughter was appointed as matron's assistant. The picture below is said to be of the Smallburgh workhouse staff, with the master and matron (the Owens?) seated centre. However, the apparent number of female staff is far beyond that employed at Smallburgh so it may at some other institution. Smallburgh workhouse staff, c.1906. © Peter Higginbotham. Smallburgh master (Frank Owen? ), c.1910?. © Peter Higginbotham. In August 1910, the Owens resigned and moved to take charge of Doncaster workhouse. They were replaced as master and matron by William and Edith Exton. William's sister Lois also appears to have worked as part of the workhouse staff. 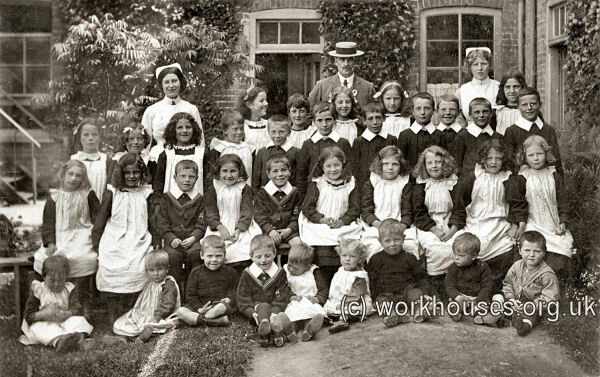 The picture below of workhouse children includes William Exton (back centre) and 'Miss Exton' (Lois?, back right). Smallburgh workhouse children, c.1911? © Peter Higginbotham. 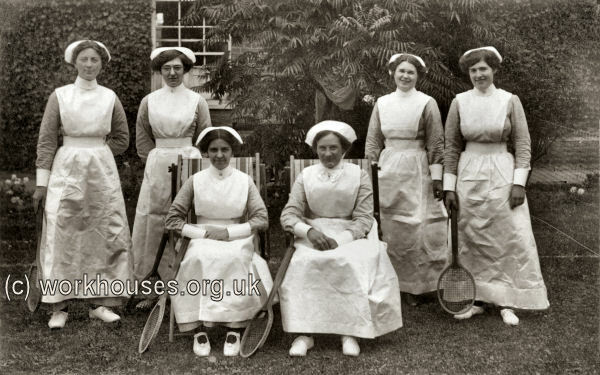 Smallburgh workhouse staff, c.1911? © Peter Higginbotham. In 1920, the workhouse and its four acre site were put up for auction but failed to reach the £2,900 reserve. The inmates were by this date being maintained at the Loddon and Clavering union workhouse at Heckingham. The main workhouse building has been demolished. The surviving structures at the east of the site have now been adapated for residential and agricultural use. 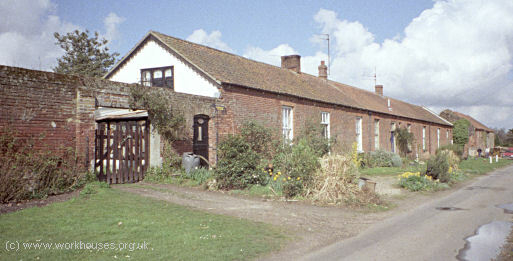 The Smallburgh Union operated a children's cottage home at 60-62 Norwich Road, North Walsham. In 1924, it could accommodate 22 children who were in the care of the superintendent Miss F.H. Breeze. The property is now a private residence. Norfolk Record Office, The Archive Centre, Martineau Lane, Norwich NR1 2DQ. Holdings include: Master's journals (1793-4); Guardians' minute books (1836-1930, with gaps); Admissions and discharges (1912-19); Births (1915-16); Deaths (1914-16); etc.